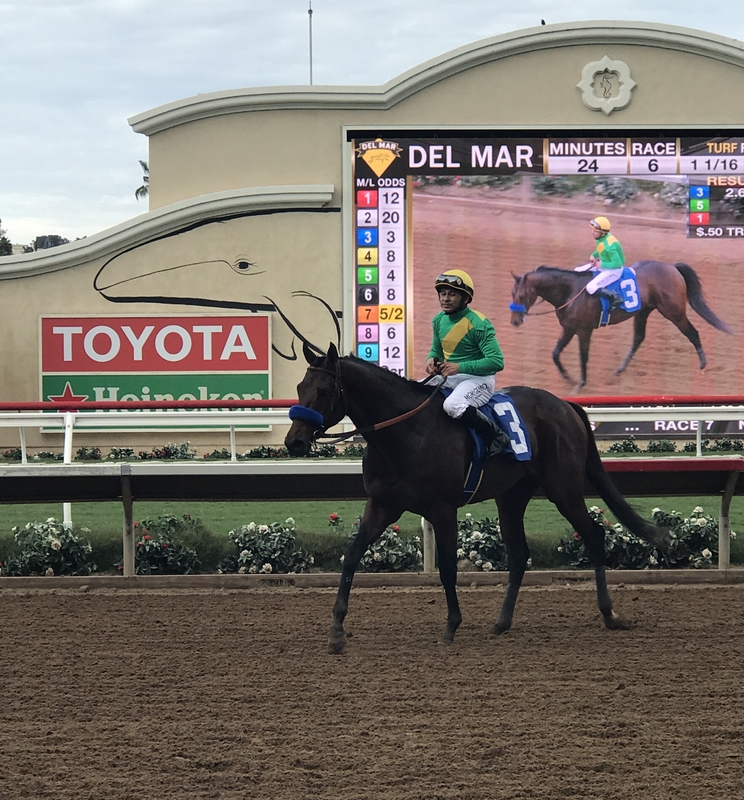 Cheyenne Stables’ Mastery made his stakes debut a winning one, capturing the $100,000 Bob Hope Stakes (GIII) at Del Mar by 1 ¼ lengths over California Diamond in just his second career race. 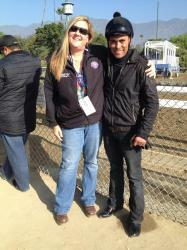 The bay son of Candy Ride is trained by Bob Baffert and was ridden to victory by jockey Mike Smith. Mastery won his stakes debut at Del Mar. Mastery faced a compact but talented field of five in his stakes debut and, after a clean break from post position three, went straight for the lead and led at every call through comfortable splits of :23.23, :47.07 and 1:11.71. After never really facing a challenge, Mastery cruised home to an easy victory, stopping the clock in 1:23.37 for the seven furlongs over a fast main track. California Diamond held on for second, crossing the wire 1 ½ lengths in front of Ann Arbor Eddie, Ooper Wallah and Bernin Sensation. Mastery was bred in Kentucky by Stone Farm and was a $425,000 Keeneland September yearling purchase 14 months ago. He is out of the winning Old Trieste mare Steady Course. At odds of just more than 2-5, Mastery was worth $2.60, $2.10 and $2.10. California Diamond was good for $2.60 and $2.10. Ann Arbor Eddie paid $2.40. There was a negative show pool on Mastery of $54,720.40. Mastery got a bit of a late start, not breaking his maiden until his debut in mid-October at Santa Anita. A May foal, Baffert believes that while it’s too early to dream about the Derby the colt is on the right track after what he showed in his second career start. “I’m really happy for (Cheyenne owner Everett Dobson); owners are always looking for good horses and dreaming and thinking about finally getting a good one like this one. Mastery earned $60,000 for his first stakes win, bringing his earnings total to $91,200 from his two wins.